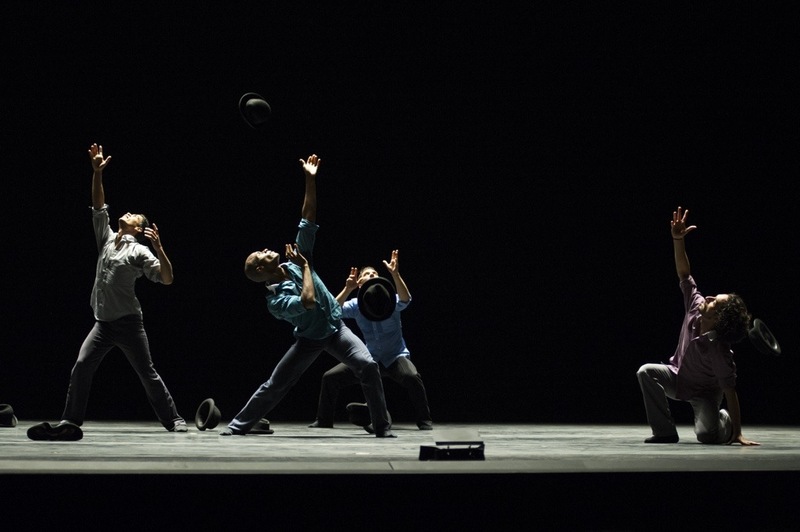 Ballet Hispanico returns to Apollo Theater with three new works and live music | HarlemGal Inc.
← Pilates studio coming to Harlem? Ballet Hispanico, recognized as the nation’s leading Latino dance organization since 1970, returns to the legendary Apollo Theater on Saturday, November 23, 2013 at 7:30pm, following last season’s sold-out holiday performance. The performance is sponsored by Goya Foods. Highlights include a seductive world premiere by Edgar Zendejas inspired by the beloved Mexican celebration “Día de los Muertos” (Day of the Dead), and the Apollo premiere of Belgian-Colombian Annabelle Lopez Ochoa’s Sombrerísimo, an athletic tour de force for six male dancers. The world premiere of Artistic Director Eduardo Vilaro’s Hogar will be set to vibrant live music by Ljova and the Kontraband, a mix of classical, Latin, and gypsy melodies. The Apollo Theater is located at 253 W. 125th Street. Tickets start at $28 and are available for purchase in person at the Apollo Theater Box Office, or through Ticketmaster at 800.745.3000 or www.ticketmaster.com. This entry was posted in 125th Street, art and culture, Community, education, entertainment, Events, Harlem, Harlem bloggers, Harlem blogs, HarlemGal, New York, New York City, NYC, The Apollo Theater and tagged Annabelle Lopez Ochoa, Apollo Theater, Ballet Hispanico, Día de los Muertos, Edgar Zendejas, Eduardo Vilaro, Goya Foods, Harlem, Harlem bloggers, Harlem Blogs, HarlemGal. Bookmark the permalink.